Do you want to reach a heightened state of perception, and be able to process the world and the things around you in a way like never before? If you want to reach your full spiritual potential and attain an enlightened state, then learning how to open your third eye is a good place to start. However, there is a lot of mystery and mysticism regarding the third eye. What is it, and what does it do? Are you really able to open it, and should you? If so, how is it done? We understand that there is a lot of confusion surrounding the third eye, which is why we have set out to clear up any misunderstandings and set the record straight for those who are curious. Without further ado, let’s delve into everything you need to know about the third eye and how to open it. 1 What Is the Third Eye? Since the ancient days, civilizations have revered the third eye in all sorts of cultures. It is viewed as a spiritual symbol that represents the human ability to conquer the challenges of life that are thrown at us. However, its symbolism goes even deeper than that. In many eastern traditions, the spiritual eye is thought of to be real. It is something that any person can perceive and see clearly if they concentrate deeply. If someone has been regularly meditating on this spot, the third eye is said to manifest with heightened frequency. You may have heard of the third eye as a window to an enlightened state of mind and consciousness, allowing you to perceive the world differently. The third eye offers those who are able to open it a deeper sense of intuition regarding their surroundings and the world that they live in. The 3rd eye is also known as the Anja chakra or the pineal gland, and it is your gateway to entering the divine realm. When your third eye has been opened, you will begin to have clear insight, open-mindedness, a strong connection with your inner wisdom and intuition, and intellectual balance. Many people seek to open their third eye as a way to achieve spiritual fulfillment or to better themselves. Does opening your 3rd eye chakra sound right for you? For just about anyone, it opens a door to a happier, more peaceful, and fulfilled life. Why wouldn’t you want to get started right away? We’re not going to lie—opening your third eye isn’t something that will happen overnight. However, by dutifully following these steps, you might be surprised at how quickly you begin to notice a difference. There are three primary stages of opening your pineal gland, and we will cover each, one at a time. You’ll want to begin by locating your third eye chakra. Chakras are your body’s energy centers—essentially spools of energy going down your spine. You have seven chakras, and each one corresponds to a different aspect of your spiritual, physical, and mental health. Your third eye chakra is the sixth one. It is located in the front of your brain, in between your eye and just above the bridge of your nose. When you mediate, you’ll want to focus your mind on this chakra, as it’s what you want to open. Remember, your third eye helps you to see the world with more clarity. 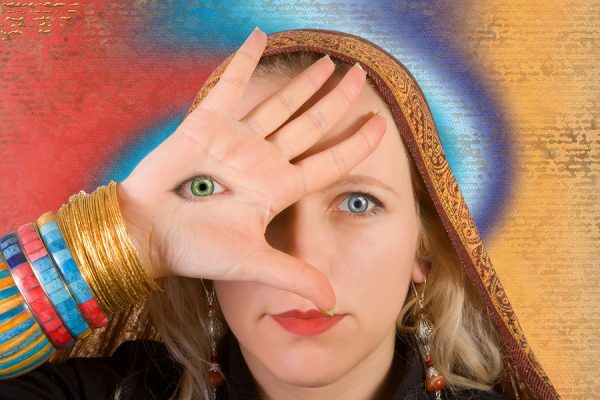 Psychic meditation is one of the best tools to assist you in opening your third eye. By being more aware in your thoughts, you can better tap into the mental clarity that the third eye is associated with. The primary goal of meditation is to allow your mind to rest on a single object or thought. It is important to select surroundings that where you feel comfortable. For you, this may be out in nature, or in a quiet room by yourself. As long as you are comfortable and relaxed, it is a perfect spot for meditation. 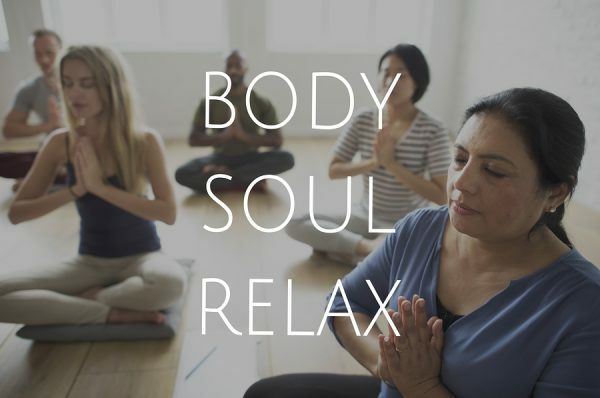 The connection between your body and mind is very important during this process. The more comfortable you are in your body, the easier a time you will have focusing on the object or thought of your meditation. People tend to find the most success sitting cross-legged on the ground. Using a cushion can help to make this more comfortable. If you’re used to sitting in a chair though, make time each day to get used to sitting on the ground. Over time, it will become more natural and easier to focus on meditating. If you have trouble getting comfortable, feel free to use two or three cushions to make the ground feel more comfortable. If you have tried several times and simply cannot find comfort in sitting, then no need to fear. You can try what is referred to as walking meditation. Simply select a clear path and walk along it slowly so you don’t have to think very much about your destination. The meditation object you choose can be either a physical object or a thought. The reason you should choose one is that it will allow your brain to focus more easily. This prevents your thoughts from wandering and makes meditation more effective. Candles are commonly used as a meditation object. The flickering of the flame is simple to look at and many people find it comforting. Your meditation object does not even need to be physically nearby. You can simply picture a beautiful flower you once saw, or recall and image of the ocean. As long as you can clearly picture the object in your mind’s eye, it will work. This is a phrase or word that you will repeat throughout your meditation. You may choose to say the mantra out loud or internally; this is really up to you. Your manta should be something that is meaningful to you personally. The mantra you choose should be something you wish to integrate into your awareness or your mind. You may choose the mantra of “I choose happiness.” This mantra, for example, would reinforce the idea of focusing on feeling joy during your day. Meditation is not something that you can do once and forget about forever. It’s a regular practice that should be done habitually. Think of meditation as sleep for your mind—you sleep every single day, don’t you? It only makes sense to give your mind the habitual rest you give your body. It’s easy to get frustrated with meditation at first. Your mind may wander in the beginning, and you may even find yourself drifting off to sleep. This is okay—successful meditation is a learning process that takes time. Go easy on yourself, and begin with small increments—even of just 2-5 minutes. 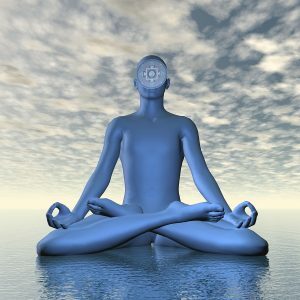 Soon, you will be able to devote more time to daily meditation as you improve. In order to be mindful, you need to understand what that entails. Being mindful means that you are actively aware of the things that are happening around you. Train yourself to consciously pay attention to your physical sensations and emotions. Being more mindful will allow you to become in tune with yourself and the world around you. For example, don’t judge yourself if you are feeling stressed out. Just simply acknowledge and observe your emotions and how you feel. By spending time outdoors and observing what you see, this can help you to become more mindful. Try leaving your electronics like your cell phone at home, or at least out of sight. This will help you to be more in the moment and focus on the world around you. Research suggests that mindful meditation is a great way to cure blocks of creativity. In addition, being mindful opens up these creative pathways. Take advantage of this by experimenting with your creative side, with something like music, painting, writing, etc. Daily life can become very overwhelming and hectic. Being more mindful can aid you in feeling calmer and being better able to use your third eye. Pay attention to the things around you, and each aspect of your routine. For example, when you take a shower, observe the physical sensations consciously. Assess how the warm water feels running down your shoulders, and take in the refreshing smell of your shampoo. When your third eye is open, you will feel more peaceful. This is because, once you have learned to open your third eye, you will be able to achieve a greater feeling of self-compassion. Being more aware of yourself in general will bring you to feel more kindness towards yourself. As a result, you will also feel more confidence and less anxiety. Many people choose to open their third eye because they believe that it will make them more intelligent and knowledgeable. As opening your third eye increases your perception of your surroundings, it is logical that you will be able to learn more about the world you are living in. You may gain more wisdom, and will likely become more knowledgeable about yourself. In addition, you will be able to better understand your emotions and feel more capable of dealing with them. With the opening of your third eye, your stress levels are likely to reduce. You will feel more self-aware and peaceful. Reduced stress levels come with many health benefits, including lower blood pressure and lower probability of experiencing depression. You may also see a reduction in things like headaches and upset stomachs if you frequently experience such maladies. It may even give you brighter, younger looking skin. Pressure between the Eyebrows: Typically, when your third eye is manifesting on a deep level, you will feel a corresponding sensation between your eyebrows. Foresight: With the opening of your third eye, your intuition will naturally increase. If you get these subtle feelings of intuition that may grow stronger over time, then you have likely opened your third eye. This intuition may become a guiding principle in your life. Persistent, Gradual Change: You may not experience a sudden change of your third eye opening all at once. However, if you find yourself starting to experience the benefits listed here, then this is a positive sign that you’ve managed to open your third eye. Deeper Self-Reliance: When your third eye opens, you will begin to feel more confidence in yourself and rely more on your inner self during many of life’s challenges. Lights: This is one of the most dramatic signs of your third eye opening that you may experience. When meditating and concentrating deeply on your third eye, the light of the spiritual eye may appear. This can manifest itself in several different shapes and lights that look circular, but the full manifestation should look like a white star with five points in a dark blue sphere, with a golden circle surrounding it. This spiritual eye’s final form has been understood for centuries in cultures across the globe, and is consequently celebrated in many religious works and artwork.